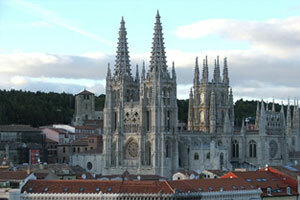 Burgos – old and new: The cathedral, a UNESCO heritage site since 1984, contrasts with the more contemporary Museum of Human Evolution. 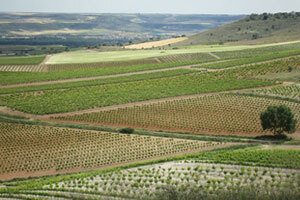 Burgos is the eastern gateway to two of Spain’s most important wine regions – Ribera del Duero and Arlanza. 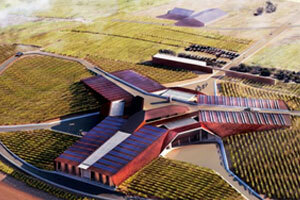 Wine tourism has grown dynamically and nowadays embraces the whole spectrum, from small family wineries, to large industrial-scale bodegas. 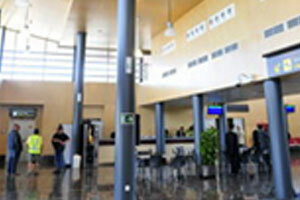 The airport was opened in July 2008, and provides new facilities and available capacity. 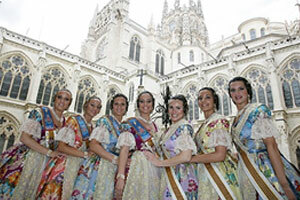 Burgos is a historic city, home of the only cathedral in Spain which has been individually awarded the World Heritage designation. The province is home to the Atapuerca, a major prehistoric archeological site, and designated a World Heritage Site by UNESCO. 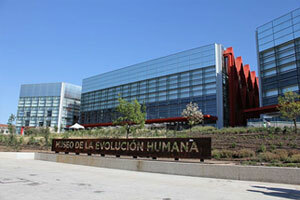 Burgos city is also home to the Museum of Human Evolution. 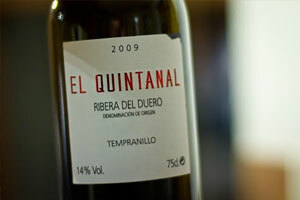 Major wine region (Ribera del Duero and Arlanza). 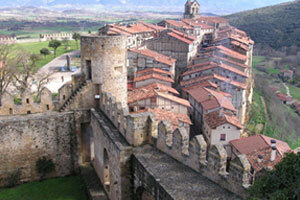 It is also the location of Santo Domingo de Silos, a Romanesque monastery on the Way of St James. 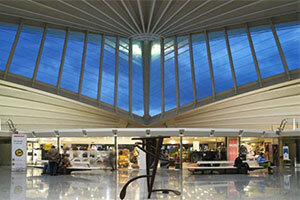 In S15, Burgos offered flights to Barcelona and a number of seasonal destinations operated primarily under the Iberia banner. For increasing number of passengers on a route: on long-haul routes, on airports with less than three million passengers and seasonal airports during the off-peak season. The map shows the population within a two-hour drive from Burgos Airport (the red square) and the nearest airports in the area. 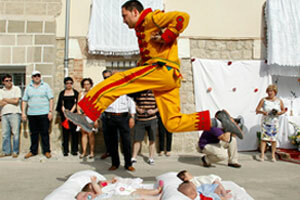 The Feast of Corpus Christi – an incarnate devil jumps over babies, cleansing them of evil spirits. 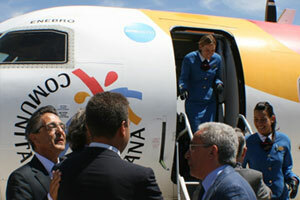 The airport is also ready to take some leaps forward – improving domestic connectivity is an especially strong desire, flights to the Spanish isles are particularly sought after. 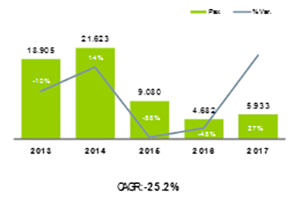 Agriculture remains dominant, but automotive, chemical and pharmaceutical industries have a strong presence. 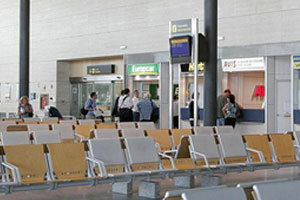 Previously a military base, the airport was converted to civilian use in 1995 and the modern terminal building is less than 10 years old. 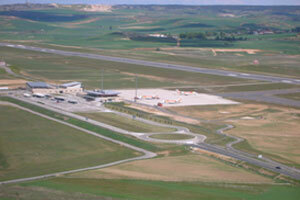 The airport is located four kilometres to the north-east of Burgos. 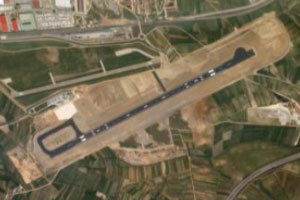 The airport has a connection to the N-120 at km. 107. At this point there is a roundabout with an exit to the airport access road that leads to the front of the terminal building. 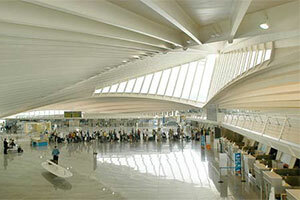 Plaza de España-Airport, Line 24. 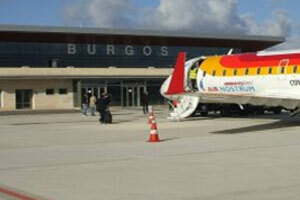 (1) Commercial flights subject to restrictions on operating hours. Passengers (commercial): 2,657 domestic passengers. 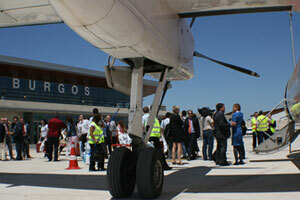 Air Transport Movements: regular and charter flights.